With Christmas just around the corner, it’s not too soon to mark your calendar for the Auburn area’s “Holiday Traditions” event when several area churches, museums, and historic sites will host open houses and other special activities on Sunday, December 11, 2016. "Holiday Traditions” is an event that was created by the Seward House Museum over 30 years ago as a token of appreciation to the Auburn community. Since that time, other local cultural attractions and sites have opened their doors to the public for free the second Sunday in December, making it an annual tradition. The Seward House Museum still gets all decked out for this event. When you enter their doors you will experience a Victorian Christmas in full with elegant decorations and trimmings, seasonal displays from local florists and artisans and live music performed throughout the day. The wonderful museum staff and volunteers spread cheer by regaling visitors with stories of the Seward family Christmases. Other participants in this annual holiday celebration vary slightly from year to year, but you can always count on major museums and historic sites such as the Cayuga Museum, Schweinfurth Art Center, Ward O’Hara Agricultural Museum, and Willard Memorial Chapel to have something special going on. Visits from Santa, refreshments, holiday decorations and special activities for the kids are all designed to put you in the holiday spirit. Area churches such as St. Francis Assisi Church and Westminister Presbyterian Church also join in the celebrations with music, tours, and family-friendly fun. 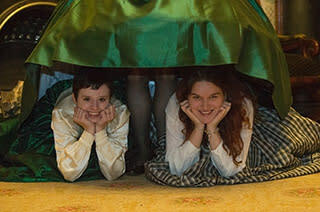 For more details on this year’s “Holiday Traditions” open house call the Tourism Office at 315-255-1658.